Photograph depicts the entrance to the CNR yards in Lumby. Principal outgoing products from this location are poles and dressed lumber while incoming products are oil and gas. Photograph depicts what Davies noted to be a rare sight to be on a train. 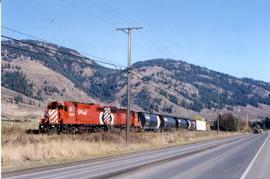 Visible are CPR way freight between Lumby and Vernon, travelling to Vernon. 31 of them built at CPR Angus shops in 1976. Only 10 survived at the beginning of 1997. 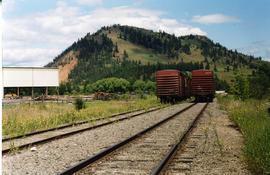 Photograph depicts CPR way freight and caboose on CN trackage between Lumby and Vernon, travelling to Vernon. Photograph depicts a crosspiece of an unusable "Y" (the reason for it). 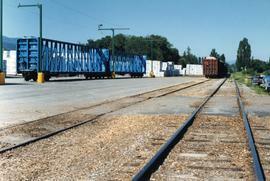 It appeared that the piece was used to offload items and in time, distorted the track. All 3 switches of the "Y" and total trackage were still in place. 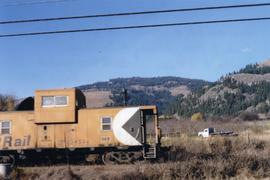 Photograph taken on the CPR branch from Vernon to Lumby. 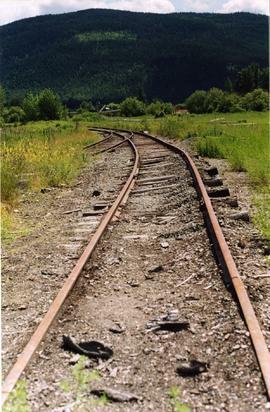 Depicts the end of the track in Lumby. Looking east at run-around siding. 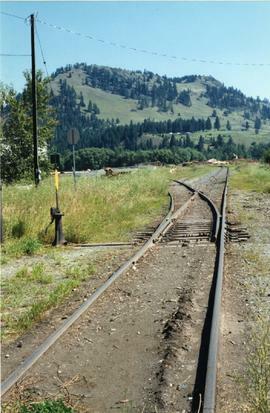 Photograph taken on the CPR branch from Vernon to Lumby. Depicts a mill just west of Lumby (Possibly Lavington Planer Mills or Riverside Forest Mill). Daily way freights by CN and CP. 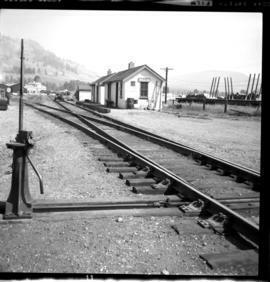 Photograph taken on the CPR branch from Vernon to Lumby. Depicts a small Weyerhaeuser sawmill. 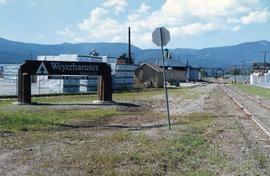 Looking west at Lumby. The end of the track was another 1/3 of a mile behind the camera.